Snooker remains hugely popular with sports fans around the world and is a non-contact game which can be played at home or in pubs and dedicated snooker halls such as Rileys. The game is skilfull and requires both patience and technique. Luckily, it’s a fairly inexpensive sport to pursue and is extremely accessible for players of all abilities. It’s simple to get started and very little equipment is required. Similar to darts, it can be inexpensive at first as many pubs, working men’s clubs and dedicated snooker halls will have all of the gear. 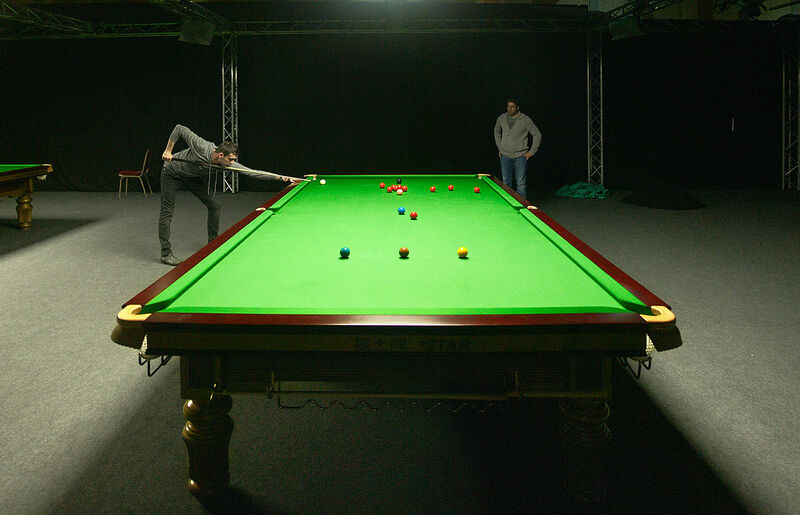 Hiring a snooker table will cost very little and cue hire is also widely available. It is often advised to train alone at first, honing technique, angles and style; however, you may wish to be accompanied by a friend so you can practice match situations and work on concentration levels. Practicing alone will give you the benefit of knowing your strengths and weaknesses, with many top snooker players such as Ronnie O’Sullivan spending hours in solitude perfecting their craft and tweaking small elements of their game. What skills will I require to play snooker? Like competing in all sports, it will take persistence, stamina and a desire to succeed. If you have seldom picked up a cue, don’t expect to replicate the professionals immediately, but you’ll notice a gradual improvement over the first few weeks of practice. Good hand-to-eye coordination is another desirable attribute that will always give you an advantage, whilst good arm muscles and a mathematical brain are other skills which will stand you in good stead. Most importantly, approaching the sport with the right mindset and attitude is key. Snooker is governed by the WPBSA and all of the rules are available on their website. At the start of the game, there will be 15 red and six colour balls on the table, complete with one white (also known as the cueball). 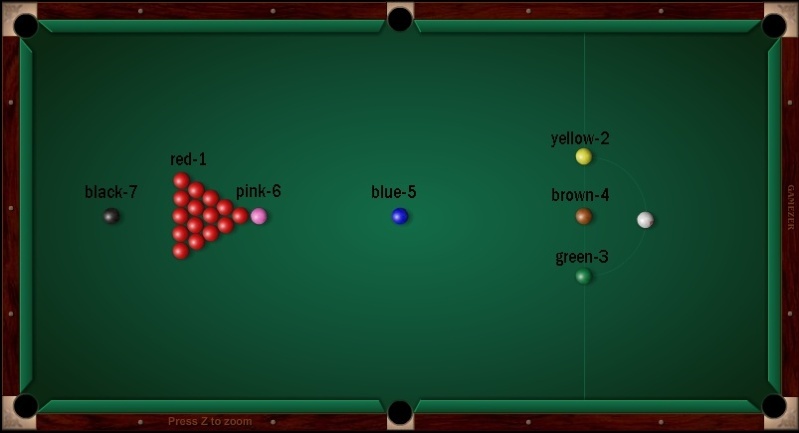 Players begin by using the cueball to pot each of the 15 reds, scoring one point for each of the pocketed balls. Once you have successfully put away a red ball, you may set your sights on any of the colours. These are each worth a different amount (e.g 4 for brown, 5 for blue). 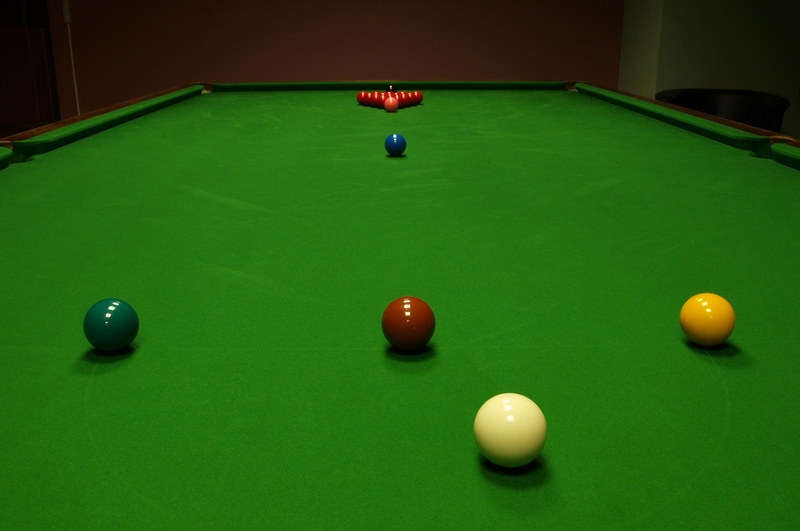 If you fail to pot a ball at any point, your opponent will then have the chance to do the same. Once all of the red balls have been potted, the colours must be dispatched in point order starting with yellow. Players will be penalised for potting the cueball or failing to make contact with anything on the table. The winner will be the player with the most points once all of the balls have been successfully put away. The only way to get better at any sport is to practice. Cue action is an important part of the game and this doesn’t come naturally; it requires patience and hours of tweaking. There are some life changes, which can be made to possibly enhance ability. Drinking plenty of water and getting a good night’s sleep are both conducive to improving concentration and this a vital element of the game. Kyren Wilson is one of the top snooker players in the UK and the 25-year-old has been ranked as high as number 11 in the world. Wilson is priced at 40/1 for the UK Championship, which gets underway on the 12th of November and will be held at the Barbican in York. He advises playing as many different opponents as possible because facing better players can only help improve your game. He also suggests attending as many different tournaments as possible in order to meet new people who may also be able to help improve your craft. Finally, he advises taking setbacks on the chin, thus avoiding dwelling on defeats for long periods of time and helping increase positivity ahead of forthcoming contests. Snooker is a very inclusive game which is open to players of all ages and abilities. It is a relatively straightforward game and there are many junior snooker schools available, which encourage kids to get into the sport. The WDBS offer opportunities to disabled players to enjoy the game and they host hundreds of events across the UK each year. Snooker is much cheaper and much more accessible than the likes of tennis or skiing and it’s very straightforward to get started. The game does not discriminate and is open to all players of varying ability. Even if you’ve never previously picked up a cue, it’s never too late to get started and hit the tables of your local snooker hall.